Disney Princess Premium Bicycle - 30 cms | Pink | Height adjustable padded seat. Save BHD 0 (0%) Earn 195 Shukrans What is Shukran? Shukran is the Landmark Group’s award-winning loyalty programme in the Middle East, which allows you to earn Shukrans when you shop any of our brands. 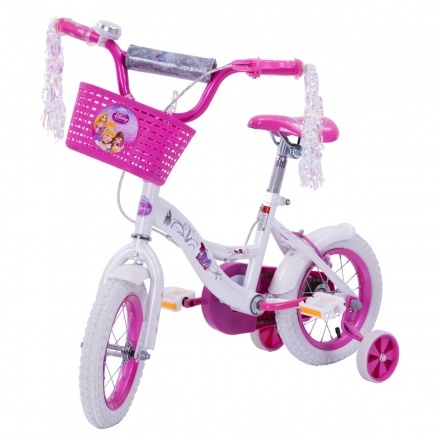 Encourage your little girl to ride her first-ever bicycle with the Disney Princess premium bicycle. 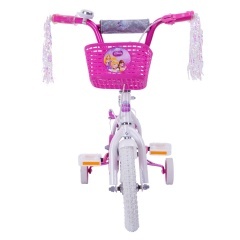 Designed with a robust and durable frame, this bicycle comes with a lovely basket in front and attractive multicoloured tassels at the handles. Feature 1 : Height adjustable padded seat. Feature 3 : Easy to assemble. 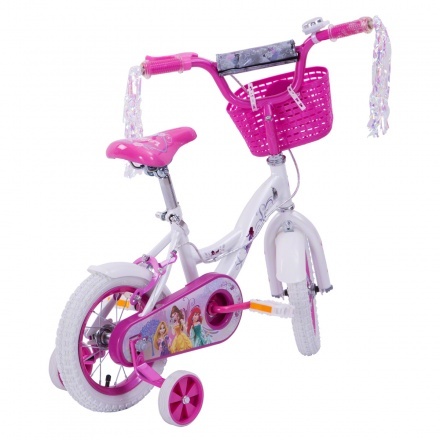 Feature 2 : Wide training wheels for stability.